Severin Safari Camp is located in Tsavo West National Park, the biggest game reserve in East Africa, about 250 km from Mombasa and Nairobi. 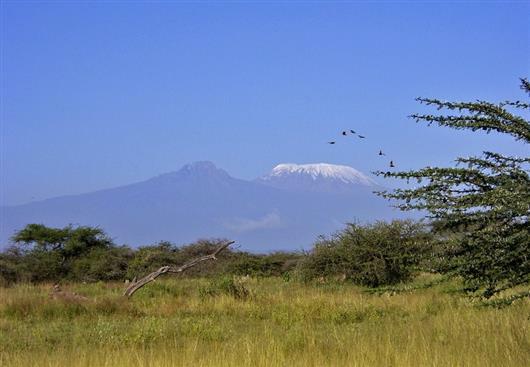 With views to Mount Kilimanjaro, it offers a unique landscape with vast savannahs, wooded flood plains and the famous "red" elephants. 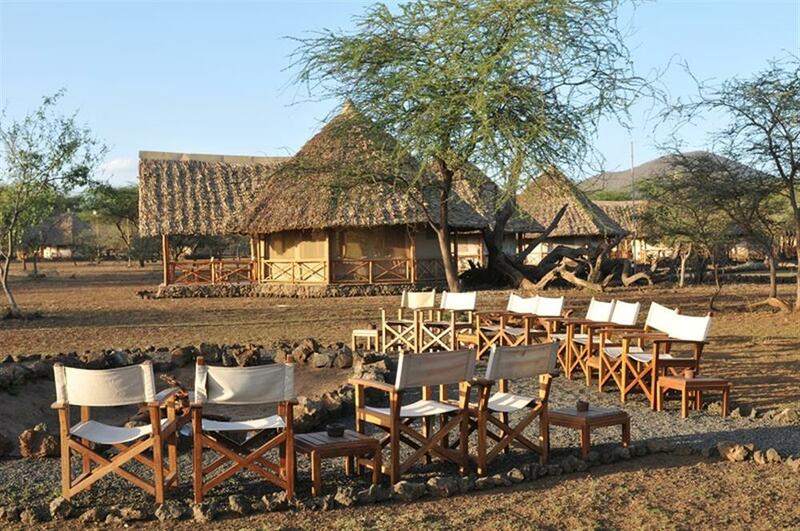 The camp offers 27 luxuriously equipped tents and suites, as well as 8 Bandas which are self-catering, all located within 25 hectares of bushland. 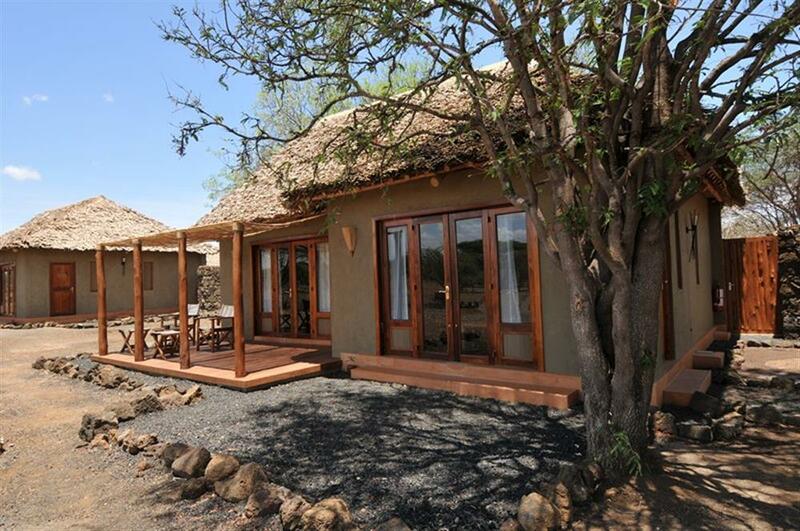 The self-catering Bandas are equipped with kitchenette, private bathroom and beds with mosquito nets and offer an authentic feel of Africa. 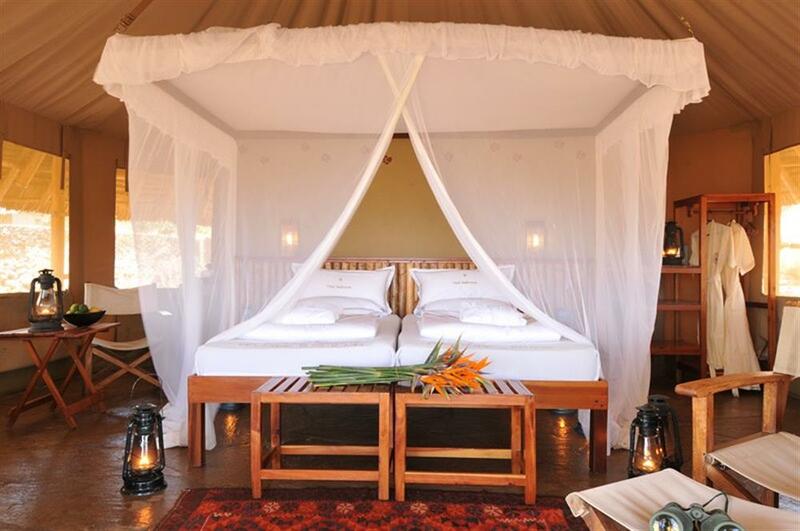 The 21 octagonal tents are equipped with running hot and cold water, shower, separate toilet, comfortable beds with mosquito nets and a private terrace. Each tent offers 220 volt electricity, a hair-dryer and a safe. The four Junior Suites are built in stone and additionally offer a separate living room, sun deck with loungers and a private courtyard with outdoor shower. The Suites have spacious bathrooms flooded with sunlight with two wash basins. There are tea and coffee making facilities, a mini bar, as well as a butler service. 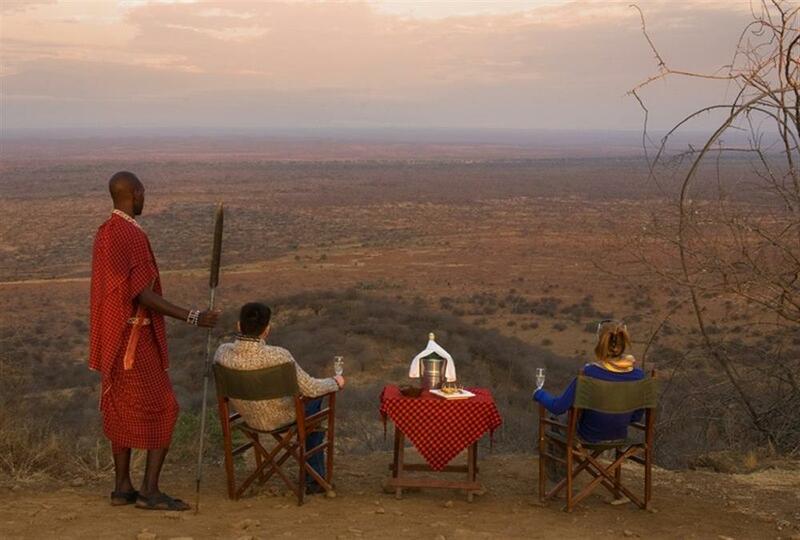 The elevated observation decks of the two Suites offer wonderful views to Mt. 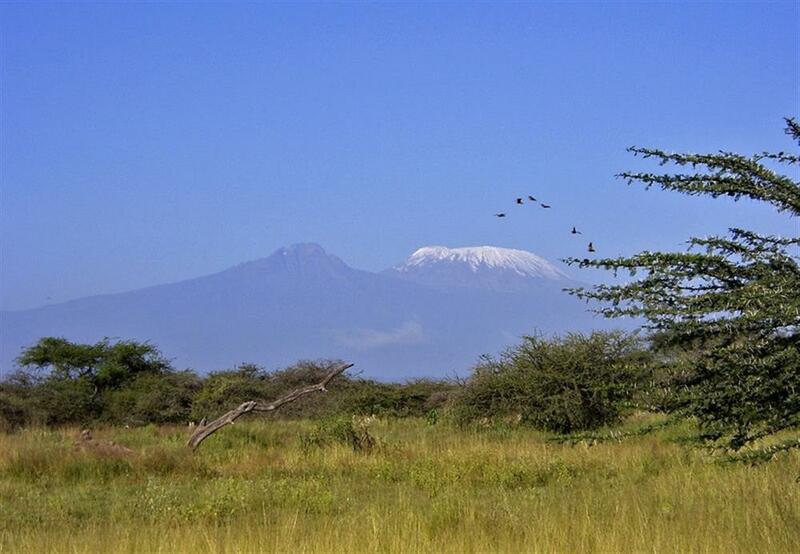 Kilimanjaro and the wide savannah of Tsavo. 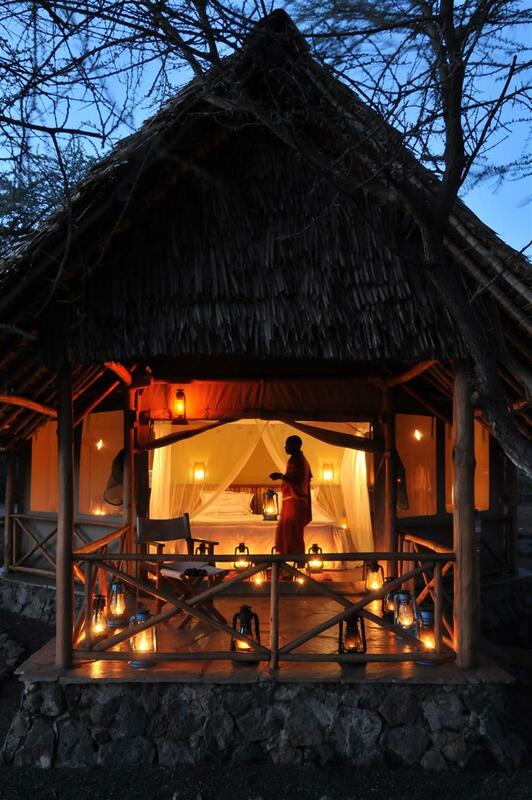 The spacious suites are additionally equipped with a corner bathtub and are ideal for families due to the adjoining tent. 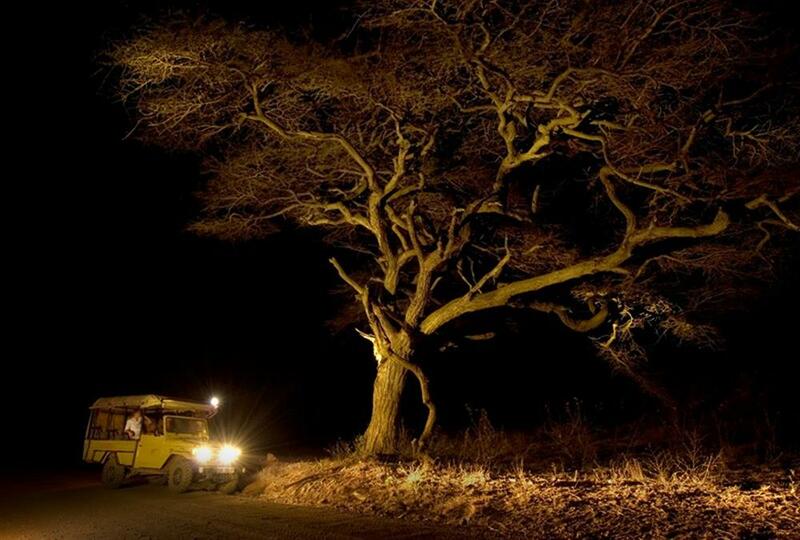 Game drives are conducted in special safari vehicles with panorama roofs and in the company of a knowledgeable tracker and guide you come into close contact with the wilderness. 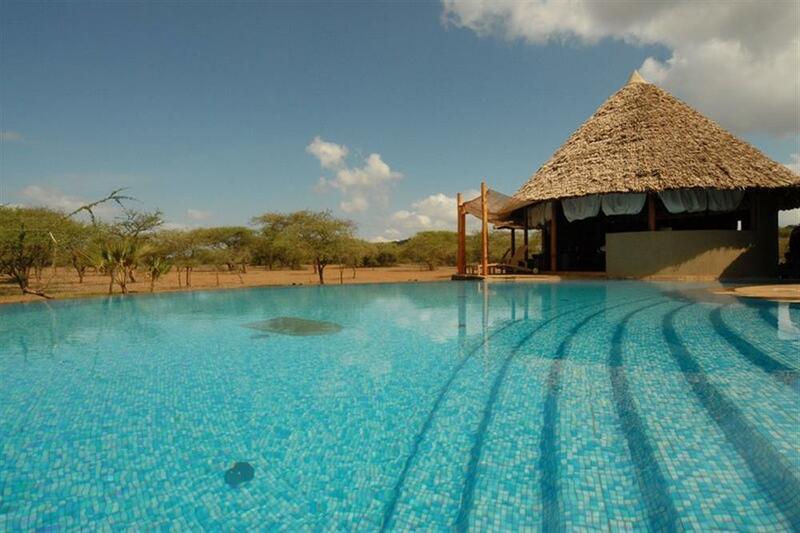 The morning game drive begins at sunrise, by the springs of the Tsavo River - the lifeline of hippos and crocodiles. These drives often encounter lions, leopards, buffalos or rhinos.